Fairness and safety are real issues. So is transparency, and that is why we should require confined-feeding operations and slaughterhouses to install webcams at key stages of their operations. List the URL’s to the video on the packaging. There would be no need for human intrusion into dangerous sites. No tricky angles or scary edits by activists. Just the visual facts. If the operators felt their work misrepresented, they could add cameras to give an even fuller picture. On what grounds could the slaughterhouse industry possibly object to that? Via DotEarth’s post on the personhood of non-humans. * All told, over the last five fiscal years, the Education Department has generated $101.8 billion in profit from student borrowers, thanks to low borrowing costs for the government and fixed interest rates for students, budget documents show. * Student loan interest rates are scheduled to double on July 1, from 3.4 percent to 6.8 percent. Congress extended the lower rate on federal student loans for a year in an effort to control the nation’s formidable student debt crisis, but will now have to decide whether or not to cancel the interest rate hike once again. Interests Diverge on Interest Rates. * Every meaningful resistance to neoliberalism must be a feminism. * Now, however, the City College of San Francisco might pay a heavy price for its faculty-oriented ethos: being shut down. 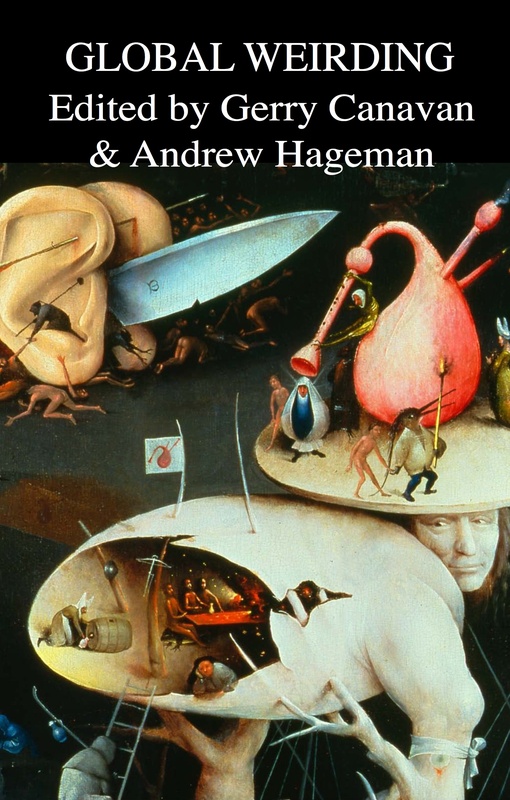 * Parasitic on the prestige of the academy, while doing precious little to contribute to it, the MOOC is starting to look a lot more like a mooch. * The L.A. Times pans the New University of California. * Millions of Americans have grown up with a defining family immigration story. But while our families may have endured hardship coming to America, the simple fact is that most of our immigration stories would not be possible at all under today’s immigration laws. Great idea for a site. * The 2012 VIDA statistics have been out for some time now, so I won’t linger over the current and quantifiable inequity—yes, even in this magazine—in the frequency with which male and female writers are reviewed today, five years after the past was deemed “gone.” It’s a proven fact, backed by simple math even my first grader can understand: the number of reviews of books by men is greater than the number of reviews of books by women; the number of male reviewers is greater than the number of female reviewers. Men, in other words, are still the arbiters of taste, the cultural gatekeepers, and the recipients of what little attention still gets paid to books. * Scenes from the class struggle in the future: Neill Blomkamp’s Elysium. * Animated Renderings of America After 25 Feet of Sea Level Rise. * They f*ck you up, your mum and dad. / They may not mean to, but they do. 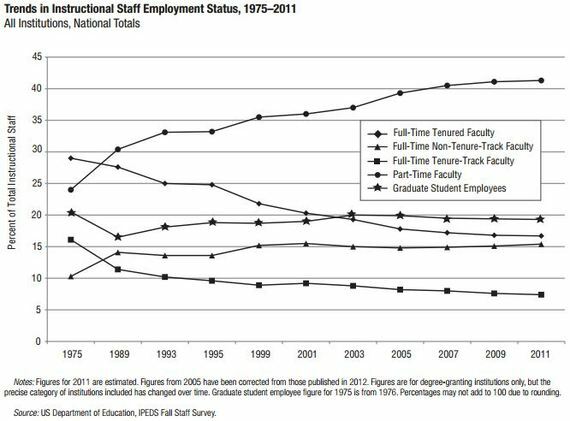 * Trends in Instructional Staff Employment Status, 1975-2011. * And xkcd considers the mise-en-Adobe. “In the latest freedom-of-information blow, agencies ignore a transparency order from the president himself.” Meanwhile, the New York Times enters stage four: bargaining. Imagine if we could watch in high definition with a bird’s-eye view. A drone would let us count demonstrators, gun barrels and pools of blood. And the evidence could be broadcast for a global audience, including diplomats at the United Nations and prosecutors at the International Criminal Court. …If human rights organizations can spy on evil, they should. Tagged with Barack Obama, drones, FOIA, homeland security, humanitarianism, military-industrial complex, open government, transparency, What could possibly go wrong?